Just a quick note to share the solution to a problem I had with Sleep mode after upgrading to Windows 8.1, namely, the computer would not go to Sleep automatically. For me, the fix was to leave the Homegroup. I did this by typing Homegroup into Start, selecting Homegroup Settings and clicking Leave. Normally, when trying to solve Sleep-related problems, your best bet is to open an Administrator PowerShell or Command Window and run the command powercfg /requests. However, in this case, powercfg always stated that Nothing was keeping my computer awake. Not terribly helpful. So, I reinstalled using the repair option. Same error message. I uninstalled, rebooted and reinstalled. Same error message. 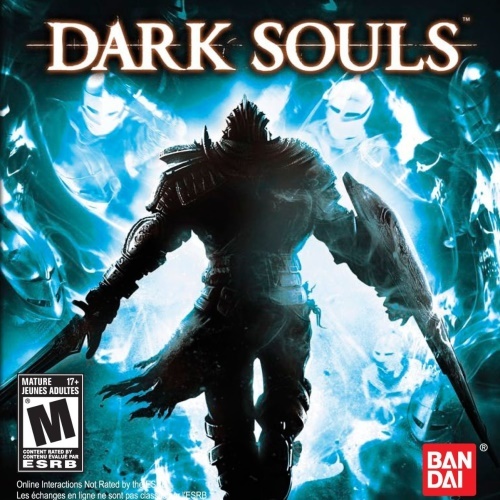 I uninstalled Microsoft Games for Windows Live Client and Marketplace and reinstalled using the GFWL setup on the Dark Souls disc. I updated DirectX using the DirectX setup on the Dark Souls disc. Go into the Zdp folder and run Zdp.exe. For me, this successfully unlocked the files and allowed me to run the game. I suspect the reason for the failure before is that one of the files that Zdp wants to unlock is DarkSouls.exe but it can’t access it because that file is the one you ran to launch the game. To restore surround sound to Codemasters’ Colin McRae:DiRT for Creative cards under Windows Vista and Windows 7, use the following setting in Creative ALchemy. I’ve got a number of Chrome Engine racing games that have been going cheap on Steam (Xpand Rally, GTI Racing, GM Rally, Classic Car Racing) as well as a boxed version of shooter Chrome. I’m want to run them on a 720P projector but I’ve been running into two problems. These early Chrome Engine games only allow 4:3 resolutions to be selected in-game but you can use custom resolutions by editing the \Data\VideoSettings.scr file. Update the Resolution() line to the resolution you want; for me that would be Resolution(1280,720). However, when I ran the game, the projector couldn’t display what the game was asking. Eventually, I realised that there was another setting further down the configuration file I needed to change: MaxRefresh(85). This is the refresh rate and because the projector was connected using a VGA interface, it couldn’t tell my PC that it couldn’t cope with the refresh rate of 85. I changed it to MaxRefresh(60) and got native resolution widescreen gaming from the Chrome Engine. However, that wasn’t the biggest problem I was having. From the initial install, the game ran fine; my PC was more than capable of running these games on full everything. After a couple of games, though, performance became horribly, unplayably jerky. Reducing resolution or graphical effects or audio quality didn’t make any difference and attempts to do so were even ignored at times. Eventually, I came across a TweakGuide for Call of Juarez which also runs on a version of the Chrome engine. This highlighted a problem with the shader cache which was fixed by deleting sub-folders in the \Shaders\ folder. I renamed my \Shaders\ folder and the performance issues were gone and the game ran perfectly. I didn’t notice any difference to the graphics either. This is unquestionably the worst gamepad driving experience ever delivered by a major console driving game, simulation-biased or not (the demos seem to drive differently to the full game). What is truly amazing about this is that none of the contemporary reviews ever highlighted it. IGN’s walkthrough for the game tells you but the review (a mind-boggling 8.7-9.0) does not (it does contain a passing remark that it is a ‘none-too-small task just keeping the car on the road’; 9.0 I remind you). The game is almost unplayable with the default settings and the menu that allows you to manhandle the controller into actually giving you a degree of control is easy to miss. Because the core driving experience with a gamepad is so atrocious, it doesn’t matter that the game looks good (aside from horrid texture filtering most apparent, sadly, on vinyl-laden cars), sounds good, features an excellent cockpit view, a ferocious sense of danger, an enticing badge reward system, a few unusual circuits and some tenacious AI opponents who even move over when being lapped. All-in-all then, a worthy successor to Need for Speed: PooStreet. If only there was some such pun for Shift. To restore surround sound to Invictus Games’ Cross Racing Championship 2005 for Creative cards under Windows Vista and Windows 7, use the following setting in Creative ALchemy.